How to drink whisky: Why add water to whisky? Father’s Day is next month (Sunday 16th June 2013) and a typical gift for most fathers is a bottle of whisky or whisky-related gifts (see our blog post for ideas). Though many of us may have often wondered why do you add water to whisky? Should I serve it neat? Or is it better to add ice? Should I add water to my whisky? At this point it is important to point out one undeniable fact; drinking whisky ultimately comes down to personal taste. There are no written rules on how you should drink whisky only advice and what we believe in, experimentation! In most cases whisky already has water added to it. This is true for whisky with 40-45% alcohol level/strength. This is known as ‘cutting’, as it allows the alcohol to be bottled at an acceptable and reasonable level for the majority of consumers. 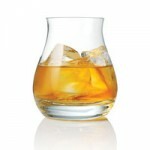 Whisky connoisseurs and enthusiasts will debate constantly about whether you should add any water to whisky. Those against adding water believe you should enjoy whisky in its “natural form” with the original characteristics straight from the cask. However, it is argued that adding water can open up new flavours and tastes; subtle notes that perhaps you would usually miss. Cask strength whiskies can often be described as overpowering and can leave a burning, tingling sensation in your mouth. Therefore adding water can reduce the strength which allows you to appreciate and recognise more of the flavours. Is there a big difference when you add water to whisky? The best way to find out is to taste whisky neat, then a whisky that has had a little water added to it. The best comparison we can give is to imagine drinking a glass of orange squash undiluted, then a glass of diluted squash. Yes this may be an extreme example but it fundamentally highlights how water can sometimes be of benefit. Please bear in mind this is not the case for all whiskies. How much water should I add to whisky? This is entirely up to you. Add a little at a time and then taste; find the perfect amount to suit your taste buds. We do suggest that first of all you try the whisky as it comes out of the bottles before adding any water. Then you can decide whether it needs any water. What happens when I add ice to whisky? Adding ice to whisky is different to that of water. Adding ice to whisky can cause it to taste dull and flat albeit refreshing. When the whisky begins to warm up the flavours and bouquet of aromas will be released. However adding just one or two ice cubes can benefit some whiskies.